At our state-of-the-art data centers in Boston and Dallas, we offer several options to meet your dedicated server hardware needs. If you would rather lease an entire server rather than share server space with other businesses – rent dedicated servers from LightWave Networks. From unmanaged and fully managed servers to customized, built-to-order dedicated servers, our enterprise-grade hardware will meet your needs and exceed your expectations. The tools to help your business succeed. If you prefer to take on the role of maintaining and managing your small business server, but still need the support, stability, security, and scalability of a large corporation, our unmanaged Boston dedicated servers and Dallas dedicated servers are the perfect solution. Unmanaged server rental is typically the more affordable option found in our dedicated server package. Unmanaged dedicated servers allow you to have total control when it comes to managing your own server. LightWave Networks will monitor the hardware and network connection to ensure your dedicated servers in Boston and Dallas run securely and reliably. However, everything else will be up to you if you exclusively utilize dedicated servers for rent. Your business has the complete freedom to install and manage any new software you may need. Software updates are also decided by your business. You get to decide who gets access to the server and how it gets managed. The freedom unmanaged dedicated serves offer is hard to pass up. All of the security, none of the hassle. If you’d rather not have to deal with the hassle of day-to-day management of your server – our managed Boston dedicated server rentals and Dallas dedicated server rentals are the ideal option. Many companies would prefer to focus on other business operations instead of server management, which can be complex and time-consuming. Our full management dedicated server package includes hardware and network maintenance, access to 24-hour support and proactive monitoring, five unique IPs, and unmatched reliability. Let us handle the IT hassle while you focus on managing your growing business. Fully customized solutions for your unique needs. 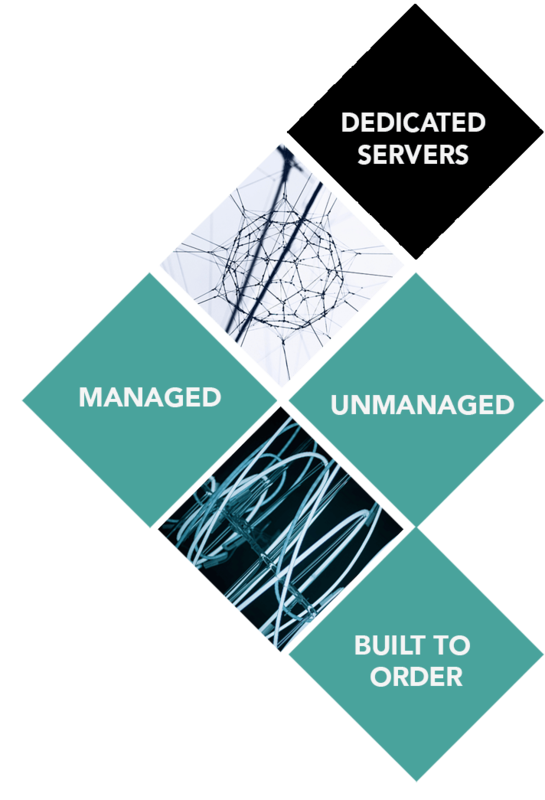 LightWave’s built-to-order dedicated servers are carefully made with your business in mind from the highest quality enterprise-grade hardware to help you reach your business goals. Dedicated servers are available in our state-of-the-art Boston data center and Dallas data center to provide a fully redundant solution offering one source for your primary and disaster recovery solution. We also offer managed firewalls and managed switches as service add-ons to all levels of dedicated server services. Environments can range from simple, single server deployments to custom multi-server deployments with managed redundant network switches and firewalls for a highly redundant, fault tolerant custom dedicated server solution for the most demanding applications. LightWave’s dedicated server solutions are always customized to meet each customer’s unique needs. We don’t believe in a one-size-fits-all IT plan. Contact us today to talk about how we can help you meet your business goals – Boston dedicated servers and Dallas dedicated servers start at $50 per month!